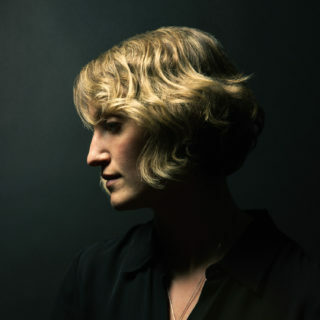 It’s difficult to innovate within a genre as well-worn as acoustic singer-songwriter folk, and at no point does Joan Shelley try to do so here. Despite that, though, a handful of moments across its eleven tracks, via a melody, arrangement or simple musical approach, contrive to provide something never heard before. Accordingly, quite how Shelley discovered the gorgeous chorus for ‘Where I’ll Find You’ seems like an impossible magic trick in the same way as the album’s opening and closing tracks combine porchside intimacy and studio poise with naturalistic elegance, or the brooding genius of ‘The Push And Pull’ conjures one of the finest, most concise and eloquent displays of songwriting you’ll hear all year. Combine that with a gentle articulacy, warmth and calm romanticism that would rival ‘Pink Moon’ or ‘Court And Spark’, and the outline of a future classic emerges. Like Nick Drake or Joni Mitchell, Joan Shelley the musician appears to have total mastery of her art; ‘Joan Shelley’ the album exploits that mastery with a grace all of its own.